50% off 2nd Main for DBS & POSB Members! Thursday | June 1, 2017	Bakerzin prefers DBS/POSB cards for payment! As an official Master Bank Partner, Bakerzin is giving back good deals to all DBS/POSB cardholders. Relish in Bakerzin's new range of items from our new menu, from Signature Crab Cakes to one of the best selling dish, Coffee Pulled Pork Burger, we have a little surprise for you. Enjoy 50% off 2nd Main and bring along your partner or friends and remember, the preferred card is DBS/POSB! 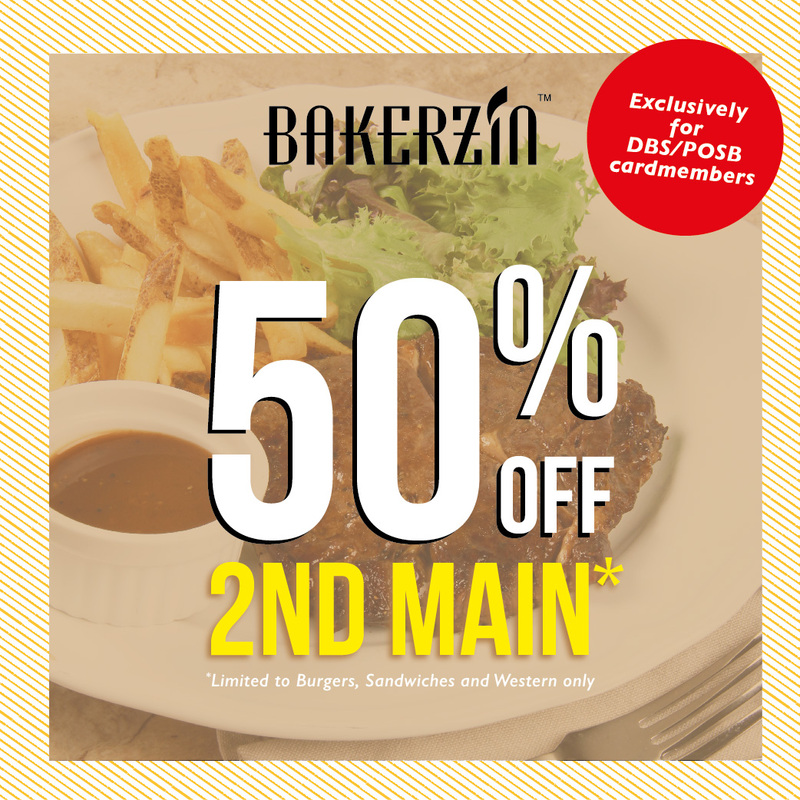 50% off 2nd Main will be available for a limited period at all Bakerzin outlets except Gardens by the Bay & Maju Avenue.